I've been slowly working on my unfinished projects list and have made some progress. The plarn clutch is done, two baskets have gotten bigger since last week and I am nearly done with my scarf. This scarf was made using Moda? 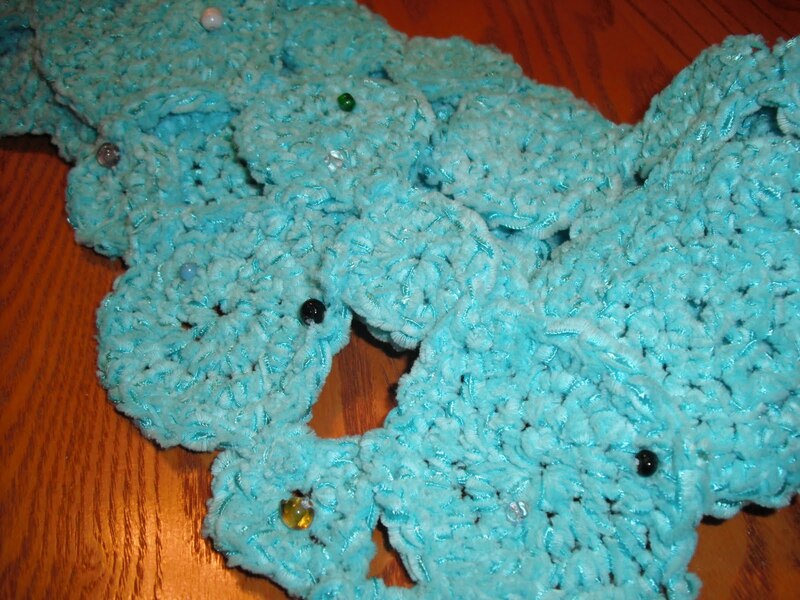 aqua yarn. It's a soft ribbon style yarn in the most vibrant, gorgeous aqua color. Two weeks ago I tucked in all the loose tails and this week I've begun to sew on various glass beads to make it feel really special and finished. This scarf was partly inspired by fabric yo-yos and the fact that I only had one skein. 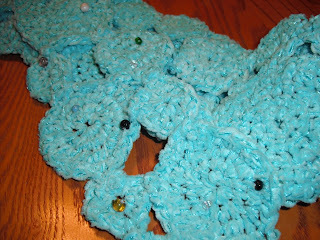 I had to get creative so I crocheted several rounds of various sizes and sewed them together. 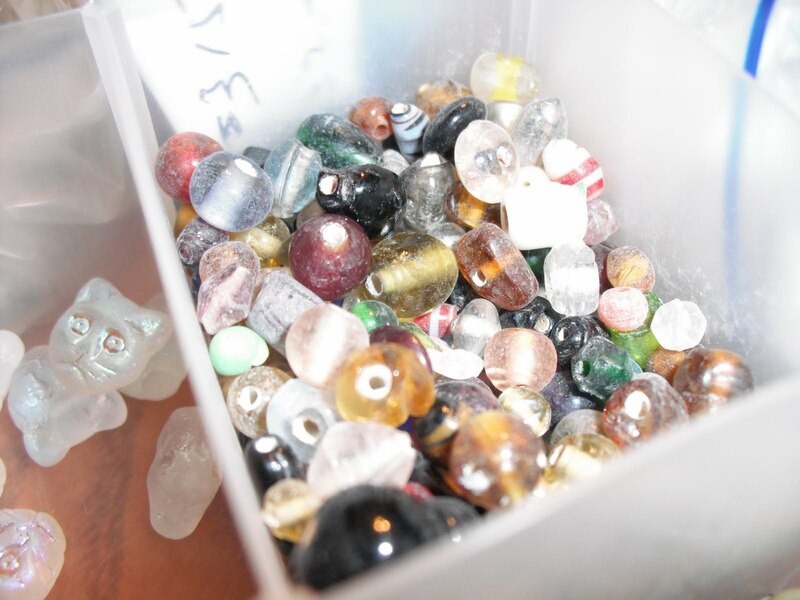 These are some of the Czech glass beads I've been sewing on with a beading needle, which is awful to thread. 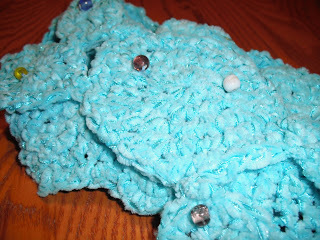 I'm just randomly sewing them down the length of the scarf for some extra sparkle. I am more than halfway done! Hopefully I can cross this off my list all together this week!